Harper Davidson, newly promoted to head of security at The Lemonade Stand, a California women’s shelter, is certain that the Miriam Thomas, the most recent high security risk admission to the shelter, just happens to share a name with the grandmother of her ex-husband. She is shocked when further details reveal that the woman admitted at 2:00 a. m. with a broken arm and multiple contusions on her chin is indeed her daughter’s cherished great-grandmother. Harper is even more shocked to learn that Miriam was brought to The Lemonade Stand by Mason, her oldest grandson and a special crime scene investigator based in Los Angeles, and that he believes his younger brother, Bruce, an undercover officer with the Albina, California Police Department, is the abuser. Even though she divorced Bruce after a year of marriage because of his repeated infidelities, she can’t believe he would harm the grandmother he adores, but neither can she imagine Mason making such a charge lightly. Mason has stayed away from Harper since the night she found comfort in his arms after breaking up with Bruce, her fiancé at the time, over his infidelity. However, he has never forgotten her, and he is haunted by the question of whether four-year-old Brianna is his niece or his daughter. He is determined to identify his grandmother’s abuser and to protect her, but he is also determined to protect Bruce and his career during the process. He needs Harper’s help, and he will have to control his attraction to her and put their personal issues on hold. Miriam insists that her injuries were sustained in a fall. Her life-long best friend from whom she is recently estranged is certain that Bruce is the abuser. Mason begins to wonder if his brother is innocent and questions if a mysterious neighbor could be the abuser. Harper is torn between her disbelief that her ex, the father that her daughter adores, could abuse his grandmother and the mounting evidence that she never really knew the man she married. As Mason and Harper try to find the answers, the past casts a long shadow over their relationship. They can’t forget. Can they move beyond guilt and sorrow to claim a future together? 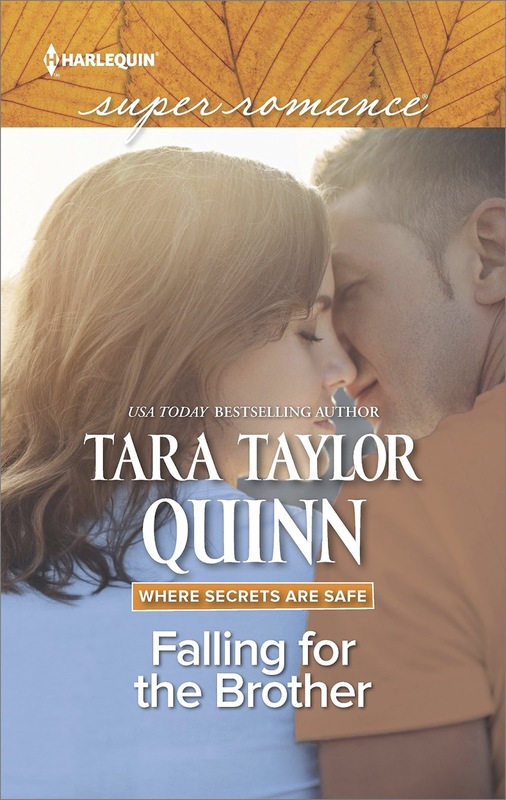 Falling for the Brother is the fourteenth installment in Tara Taylor Quinn’s Where Secrets Are Safe series. Like the other stories in the series, this one balances suspense, generally tied to the abuse theme, with romance. The mystery works well in this one since the reader shares Harper’s uncertainties. However, I would like to have seen an expanded conclusion. The end comes very abruptly, and it is more tell than show. I found the romance less successful, but I don’t like love triangles that involve siblings. A reader who finds such tangled relationships more appealing will likely enjoy the romance more than I did. The most interesting part of the story for me was the mix of good and bad in the villain and the theme of family love that forgives and endures. 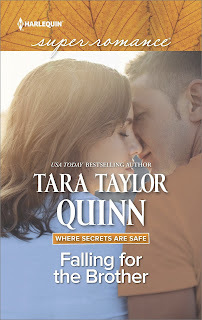 Harlequin is phasing out the Superromance line within the next few months, but Quinn has one more book in this long-running series before the imprint becomes history. A Defender’s Heart will be released June 5. Later in the summer Quinn will introduce a new series under the Harlequin Special Edition imprint. Thank you for the review!!!! And an update! This series is continuing in the Harlequin Romantic Suspense line! First one out in 2019! It was a perfect fit! I am sorry to see the Superromance line discontinued. They have discontinued or will soon several lines I enjoyed. I liked Superromances because they gave the authors more time to develop their characters and story line. I have not managed to catch all the books in this series, but have thoroughly enjoyed the ones I did read. Sounds like an interesting series, one I will have to check out.